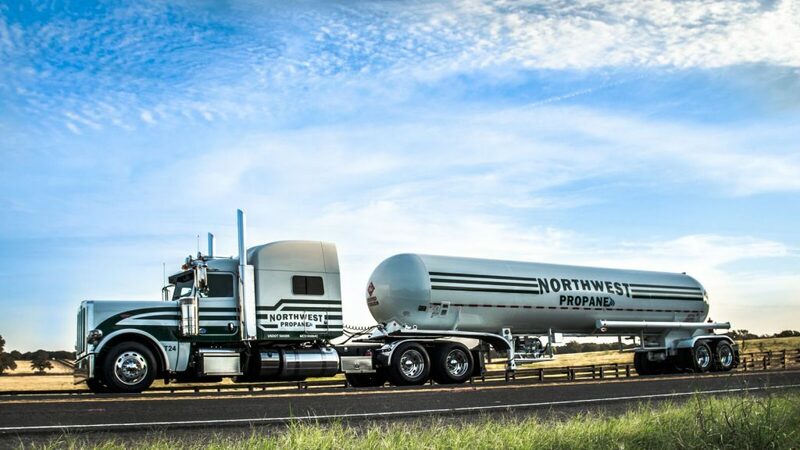 Since 1946 Northwest Propane has provided superior delivery for commercial propane services in North Texas and bulk propane system installations across Texas and the surrounding states. Whether you require propane forklift or mower refueling services, bulk propane installations or wholesale deliveries, retail service stations, propane or bi-fueled vehicle engine conversions, agricultural applications, or unstenched manufacturing-grade propane, Northwest Propane is ready to meet that need quickly and efficiently. Let us show you how our commitment to customer service has allowed us to become the largest independent propane provider in Texas. To run your business well, you need fast and reliable propane delivery. Our clients trust Northwest Propane to efficiently deliver the propane that keeps your company running smoothly. To accomplish this, we rely on experienced technicians to complete all our deliveries. These technicians provide safe, reliable deliveries. Your business relies on the long, uninterrupted run times of clean-burning propane. To serve you best, we make the ordering process as simple as possible. Whether you need propane for forklifts or to provide temporary heat in a building, we will deliver it to your commercial property on time. We have the knowledge, materials, and experience to make commercial propane delivery easier and more straightforward. As our client, you’re at the forefront of our customer service guarantee. Give us a call today, and we’ll get you the propane you need to keep running! A few different factors can influence the overall price of propane. Due to how portable propane can be, it is often used in different markets from barbecuing to petrochemicals, and beyond. The price of the propane in the aforementioned markets can be influenced by the price of competing fuels, the distance the propane must travel, and the volume each customer requires for their home or business. Propane is all about supply and demand, pure and simple. With this in mind, changes to domestic production, inventory levels, and even the weather can factor into the total commercial costs for propane usage. As a commercial property, chances are high that you will use more propane than, say, a household with four family members. Businesses tend to make use of more propane to fuel their company in various ways, including forklift refueling, refueling stations, and truck conversions and fueling. You can give us a call for an estimate on current prices. There is no better way to keep your business running than with propane and commercial propane services. Have questions or want to learn more about what commercial propane services and solutions could work for you? Contact us at 972-247-6121 or order@northwestpropane.com. When you are looking for commercial propane services, you can’t get any better than the team at Northwest Propane. As a successful business ourselves, we understand the importance of partnering with the right people so your company can continue to grow and meet goals. We want to be more than just your propane vendor. Northwest wants to be your propane refueling partner with insight and recommendations regarding your fueling program and always looking for ways to improve. Anyone can deliver propane… we deliver service! Can I repair or modify my commercial propane system? As home and business owners ourselves, we completely understand that you would love to care for your own building – a major investment on your part – and handle the repair and modifications without calling in a costly professional service. Unfortunately, this is not always the way things work. The team at Northwest Propane has specific safety training and experience in modifying and repairing commercial propane systems. Any repair or modification done to a commercial propane system should be performed by a professional. Performing the repairs on your own can lead to serious injury to yourself or a costly mistake with your propane system if you don’t completely understand what you are doing. In the long run, it will be infinitely cheaper and far safer to have the professionals handle any work on the propane system. Why are commercial propane service prices not the same for every customer? When it comes to propane services, not every commercial property is going to be the same. Some customers use significantly less propane in their business than their next door neighbor, for instance. It all depends on the size of the house or company, how many people live/work in the building, and how often they use their propane services. For some, it is absolutely nothing to empty their propane tank within a matter of months following a refill. For others, however, they may only use half of a tank of propane before it comes time for the scheduled refill and inspection. Thankfully, Northwest Propane has the Auto Fill Tank Level Monitoring Program that can help prevent your tank from ever going empty. Give us a call or request a quote for specific pricing.